Bed & Breakfasts are gaining popularity the world over, not only with vacationers, but with the business traveler as well. Even corporations have recognized the comfort and charm, not to mention the great value that bed & breakfasts can offer. The B & B hosts are a great source of information about local events, history and cuisine, etc. It is like having a concierge service, but no tip required. Many of the B & Bs offer meeting rooms, office services and Inter Net access for business folk. 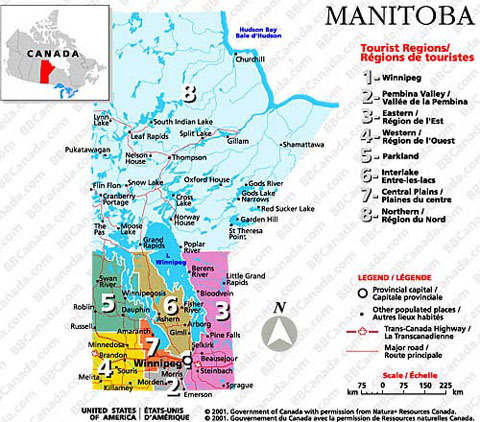 A variety of uniquely Manitoban experiences await all travelers. Choose a historic home or a spiritual retreat or a rural get-a-way or a glimpse at another culture. The new Bed & Breakfast of Manitoba invites you to pamper yourself with a stay with one of our certified members. A high standard of cleanliness and maintenance. An adequate number of bathrooms with sufficient hot water. A breakfast of good quality. Provisions for safety and fire protection consistent with the provincial or municipal guidelines. Friendly guidance and assistance to points of interest. A reasonable deposit and cancellation policy that is clearly stated at the time of booking. Must have adequate liability insurance. Must comply with the Manitoba Human Rights Code. Must work with the Co-op committee to resolve guest complaints. Must agree to implement any recommendations of this complaint committee.